Peacock-green glaze is applied to the surface of the bowl. The green is bright and glimmering like the feathers of a peacock, hence its name. Jingdezhen started to fire porcelain in this color in the Yuan Dynasty. 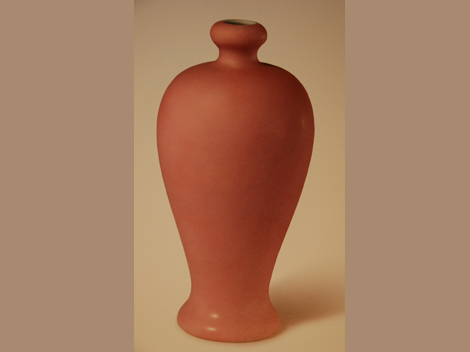 It is different from the deep tones of earlier green glaze and is extremely precious. 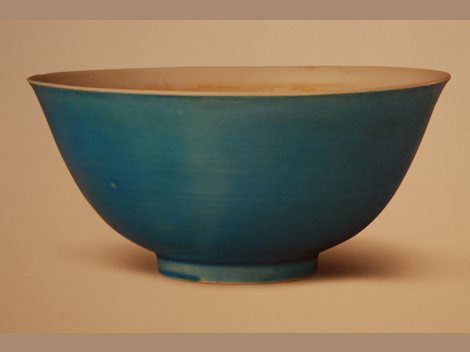 Color-glazed porcelain 彩釉瓷 was one of Jingdezhen's major products during the Yuan, Ming and Qing dynasties. It was colored using both high-temperature and low-temperature glazes, with copper, iron, or gold as the color agent. From the time of the Yongzheng and Qianlong reigns, iron has successfully been utilized for its even, clear and stable glaze qualities. 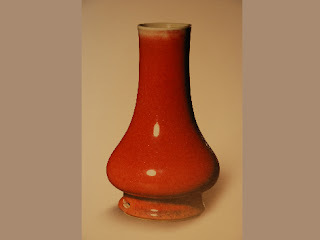 Red porcelain has always been the most popular since the Chinese consider red an auspicious and precious color. Reputed as a "man made gem", color-glazed porcelain looks brilliant and seems to carry many connotations. Thanks to new scientific measures for allotting ingredients and controlling kiln temperatures, craftsmen have not only managed to improve the quality of color glazes and find formulas for different products, but they have also successively created more than 100 glaze colors and several kinds of lusterless colored glazes. Generally speaking, color-glazed porcelain falls into the following categories: blue, dark reddish, black, white, yellow, green, blue-and-white glazed, and so on, with each color further sub-categorized into specific type. 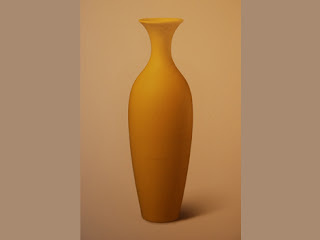 Collectors of different types of color-glazed porcelain should keep one thing in mind: The classification of color glazes cannot be judged based on the color of a glaze surface with the naked eye. For instance, although some blue-and-white glazes produced in kilns in Fujian Province during the Song Dynasty appear to be white, the proportion of different micro-elements classifies them as white-and-blue glazed porcelain. The color of this work is gentle and graceful, as lovely as the color of a peach. It was an innovation in Qing Yongzheng period. A small amount of gold was mixed in the paint, making it an extremely rare variety. Only one piece survives.